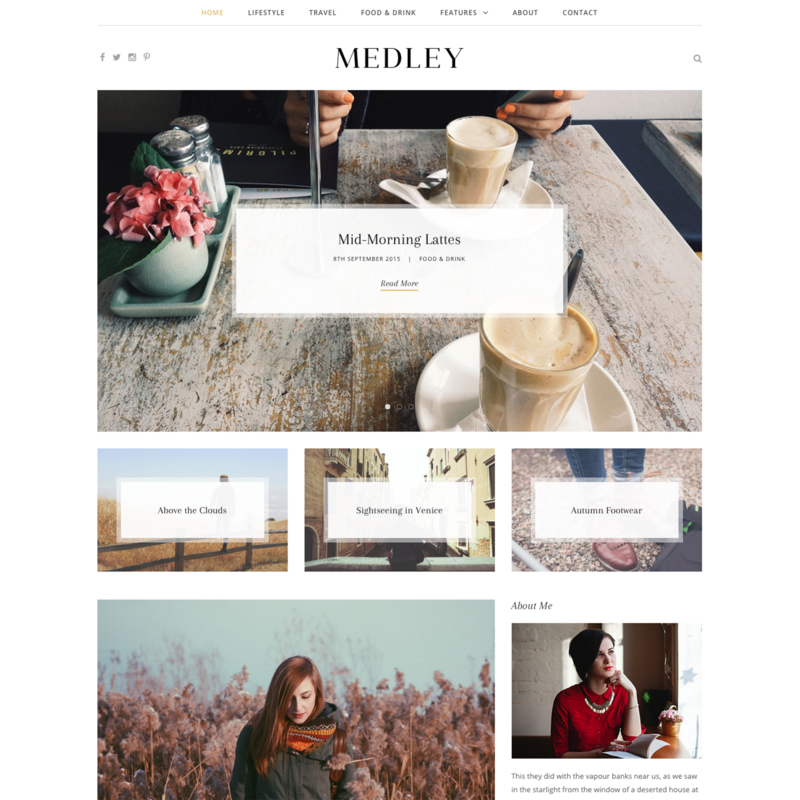 Medley is a clean and elegant, fully responsive and retina ready WordPress theme designed with bloggers in mind. The layout and design is simple and classic and allows your content to really stand out. 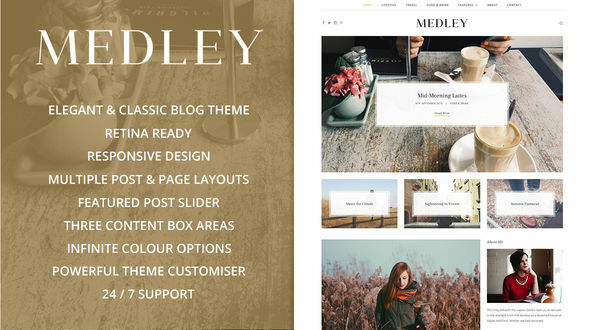 Medley is very easy to set up and customise to the way you want – make use of the beautiful featured post slider, the three featured content boxes, multiple post layouts and infinite colour options. This theme also comes ready with Instagram and Facebook widgets, as well as an About Me widget, so you can really personalise Medley further and make it your own. We have made Medley very easy to customise. Each feature of Medley can be customised using the power of the WordPress customiser. You can personalise Medley right in your browser and see your changes instantly. Featured content boxes on homepage – Promote your content. When you purchase Medley you get updates delivered right to your WordPress dashboard. This makes updating Medley a breeze, all it takes is one click. If you have a question you would like to ask regarding Medley before purchasing, please contact us here: http://sculptureqode.com/have-a-question/ and we will respond within 4 hours. No problem, we are always on hand to provide top-notch support to all our customers. Head over to sculptureqode.ticksy.com and will be more than happy to help.